Serious accidents are impossible to anticipate and difficult to handle. If you have been injured, it is vital to have an experienced personal injury lawyer by your side when the unexpected happens. 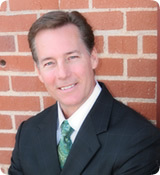 Van Meter Law Firm's attorneys exclusively represent the rights of personal injury clients in Oklahoma. We guide clients through even the most difficult legal situations with the compassion and devotion only the truest passion for community service and justice can bring. Our professionalism and legal savvy in court and at the negotiation table give us an edge over the competition and your opposition. Our areas of focus Our Oklahoma City medical malpractice lawyers have devoted their life's work to serving seriously injured peopleour firm's motto is "helping the hurt find hope." We concentrate our practice on personal injury law with a special focus on medical malpractice. At the Van Meter Law Firm, we represent injured patients, individuals, and families with the following types of personal injury cases Medical malpractice Doctor negligence Pharmacy negligence Hospital negligence Products liability Wrongful death Nursing home neglect Motor vehicle accidents Trucking accidents We also handle fraud and whistleblower cases. Meeting your needs Your health and well-being are priorities to our attorneys and staff. We take on a limited number of cases to ensure our clients receive the attention they deserve. Our firm operates on a contingency fee payment structureyou pay nothing for our services until we collect your damagesso you can focus on getting better, not on paying the bills. We come to your home or hospital if you are unable to travel to our office. While we settle the majority of lawsuits out of court, we do not hesitate to go to trial if your case is not resolved to our satisfaction. We know the heavy physical and emotional toll injuries take and accept nothing less than the compensation you deserve. Our attorneys also handle appeals if your case does not yield a favorable outcome. We are your Advocates for Justice. The Oklahoma City medical malpractice attorneys you can trust Contact the Van Meter Law Firm for help from a skilled medical malpractice and personal injury attorneyand turn our knowledge, professionalism, and attention to detail into assets for your case. We serve clients throughout the Oklahoma City metro area, Oklahoma County, and Oklahoma state. We devote our work to helping the hurt find hope. David is active in his church, Men's Ministry, Business Development, Civic Committees and other organizations, including Big Brothers. He enjoys spending time with his wife and family, the mountains, snow skiing, exercise, outdoor activities, and gardening. He is also a motivational speaker and volunteers for Habitat for Humanity. David and his wife Kelly married in 1987 and are the proud parents of quadruplets, who are completing college and starting their own successful careers. The scripture David relates to his legal work is Deuteronomy 16:20, "Justice, and only justice, shall you pursue."